Under the careful leadership of a highly experienced and dedicated management team, the Hendor Group has significantly expanded its assets and customer base. Through the expertise, the group has experienced phenomenal growth and expansion and has evolved into a company which is capable of handling multi-million rand contracts with the same dedication , care and flawless capabilities as the smallest contract. What separates Hendor from its competitors is its ability to partner with its clients in the true sense of the word, often becoming an extension of its clients business. Over the years Hendor has established phenomenal client relationships with all of its clients, big and small. 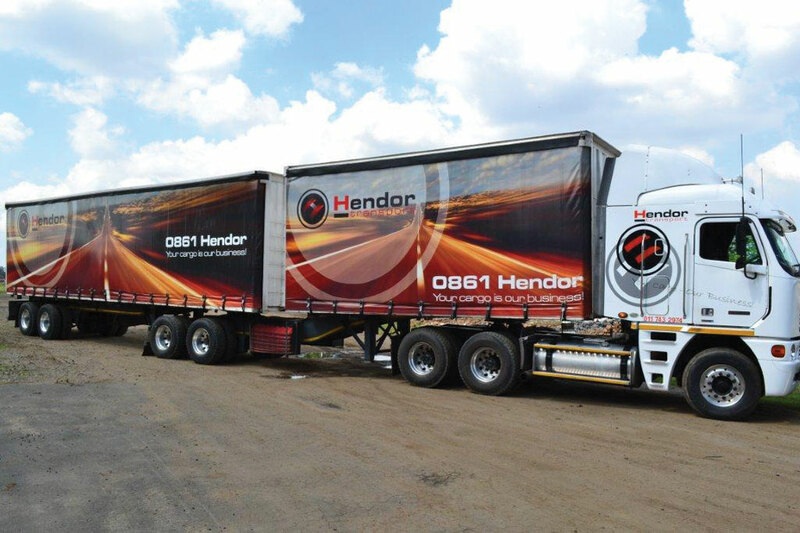 Over the past few years Hendor Transport has cemented its reputation as a reliable innovative and proactive transport solution company. Since our inception in 2000, HENDOR has significantly expanded our asset and customer base and has accumulated vast experience and expertise in all facets of the transport industry. • Break Bulk: Clients are provided with a full logistics transport solution which operates nationwide and cross-border with the ability to transport any load from 1 ton to 34 tons. • Cross-Border: These include a number of African countries such as Botswana, Lesotho, Swaziland, Mozambique, Angola, Maintain, Zambia, Zimbabwe and the Democratic Republic of Congo. • Specialised Transport: The specialised transport services include the delivery of abnormal loads which are intended to use by the construction and mining industry. This includes the utilisation of specialised vehicles such as Trucks, Abnormal and Low Bed Vehicles, Containerised Cargo as well as Hazchem certified vehicles for the chemical industry. • Port-to-Port: Need Transport offers a range of sea cargo services and has established strong relationships with the world’s major shipping lines. Services include port-to-port delivery as well as transshipment for time-sensitive orders. • Local & National Transport Services: We offer a range of vehicles from 1 ton – 34 ton trucks on a daily, weekly & monthly basis at competitive rates. Reliability , efficiency and service excellence form the cornerstone of the Hendor Transport business and through the dedicated application of these principles, Hendor Transport is able to guarantee business success though on-time and accurate delivery schedules. As a company that recognises the importance of partnering with its clients, Hendor Transport is committed to prompt delivery and therefore all vehicles are equipped with either satellite tracking devices, two-way radios or cellular phones. Each and every load type is monitored from the point of collection to the point of delivery. Hendor Transport offers a complete and fully-integrated logistics management system which can be tailored to suit individual import/export and distribution needs. Hendor’s integrated logistics service include various specialised warehousing and distribution solutions. Cargo handling facilities : a rigging service; air-cushioned vehicles; free store warehouse facilities, palletisation and shrink-wrapping of bagged goods; strapping and crating of valuable and fragile items inclusive of inventory and vendor control. Documentation and indent tracing are also available as part of the variety of services offered. In addition to the road feeder service, Hendor offers fast and efficient distribution of full loads and consolidated cargo. Hendor Transport offers port-related solutions which include the loading and offloading of containers, transport bond, groupage, palletisation, warehousing and distribution of products. Hendor Transport offers customers the option of storing their dutiable cargo in its general and bond storage facilities for a period of up to two years, thus averting the payment of duties and VAT. These facilities are controlled and monitored at all times. Hendor Transport service quality is maintained by utilising and promoting uniform documents coupled with standard trading conditions. 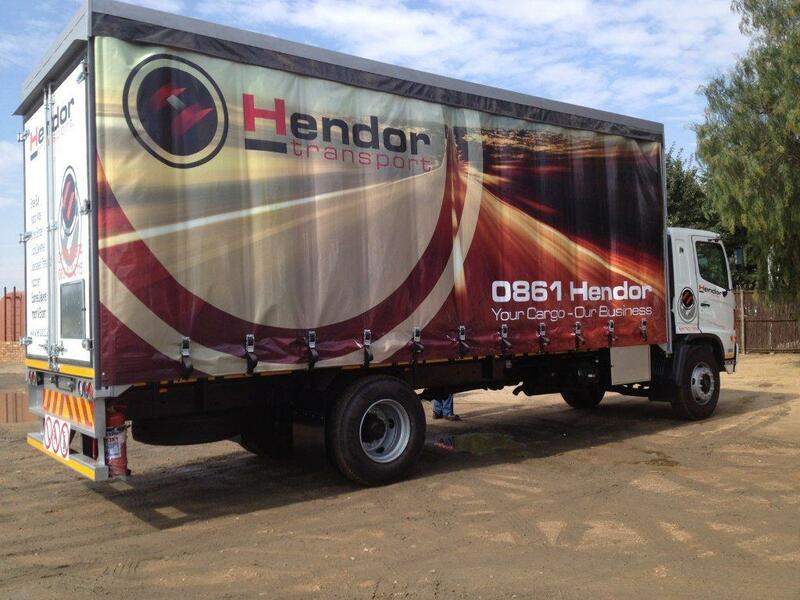 Hendor Transport is represented at all major ports and airports throughout South Africa. When you choose Hendor Transport, you are assured of a highly professional service. Hendor Transport is very proud of their close relationship with clients such as Cargo Carriers, Honda and Sandvik, to name but a few. Hendor Transport is proud to add Solar Projects to its ever growing list of expertise. We provide transport services to most of the solar projects currently under construction. We comply with the relevant OHSA of South Africa. All our drivers and assistants are equipped with PPE needed on site. Certified and Qualified to utilise NoneXTM, breaking rock and concrete in confined and sensitive areas is carried out effortlessly and with utmost care. 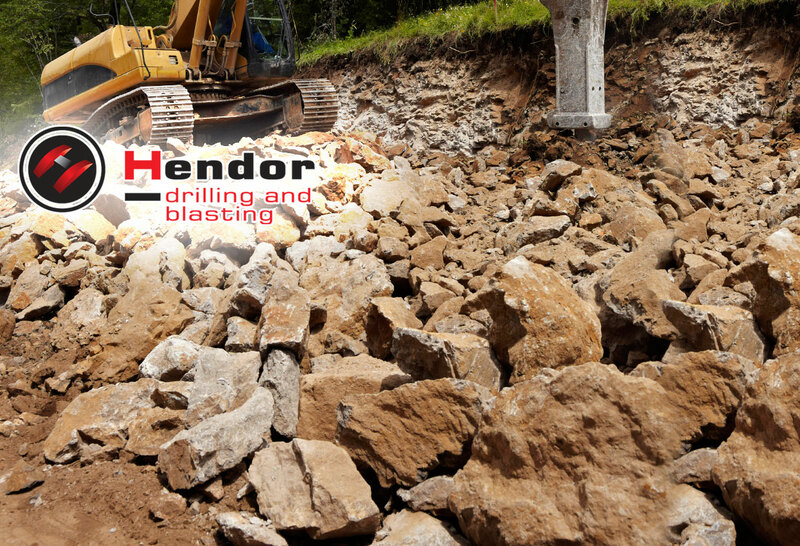 Unwavering determination; the commitment to meeting client requirements and the ability to take on contacts both large and small with the same dedication and enthusiasm - has made Hendor Drilling and blasting the contractor of choice for some of the most intricate projects in South Africa. We have successfully completed many projects in the Civil and Road Construction industry. Hendor is a certified and qualified service provider in the civil construction industry. Our team of blasters are qualified to perform highly skilled drilling and blasting. We use high quality blasting products and accessories from reputable manufacturing companies in South Africa. We believe this contributes to the success of each project. Hendor Drilling and Blasting is a level 4 BBBEE Company. We offer a dedicated and specialised drilling and blasting service to local - governmental and non-governmental, as well as international clients, involved in the civil construction and engineering industries. Backed by vast years of collective experience, Hendor Drilling and blasting’s management team provides a comprehensive support system to assist clients with contracts and deadlines. With an impressive fleet of plant and equipment, the company offers a complete solution for each and every drilling and blasting requirement. • No delay Assignment on the Bench. The blaster simply uses the DigiShot Tagger to tell each detonator its location in the pattern. The system checks the functionality of the detonators. The hole positions are then downloaded into the control equipment for automatic delay assignment. • Completely Testable. The The DigiShot Plus Tagger is an inherently safe, hand-held tool used to assigned each hole location and at the same time used to test individual detonators, part of a pattern or the entire circuit before leaving the bench.